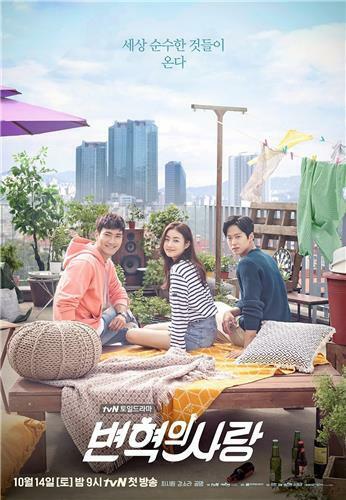 SEOUL, Oct. 12 (Yonhap) — “Revolutionary Love,” cable channel tvN’s new romantic comedy, seeks to be a comfort and encouragement to today’s young Koreans suffering from unemployment and cutthroat competition. Director Song Hyun-wook said the drama tries to cast light on young people’s challenges as they move forward in society in a more positive light. The story centers around Byun Hyuk (Choi), a third-generation “chaebol” heir who always causes trouble and is considered useless by his stern father and mean brother, and the highly qualified, educated and aggressive Baek Joon (Kang), who makes a living by working part-time jobs. Chaebol are South Korea’s family-run conglomerates. “The hard work for me was how I can make the drama touching and funny at the same time. We can’t only focus on the comical elements,” the director said. It is Choi’s first acting project since he was discharged from the military in August. “I got to read the script during my last vacation from the military. I liked it because the story deals with heavy topics in a direct and witty manner,” Choi said. 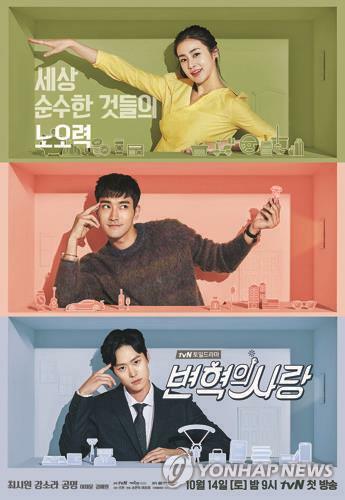 The director and the actors cited the “bromance” between naive troublemaker Byun and ambitious troubleshooter Kwon, and Choi Si-won’s signature funny facial expressions and slapstick humor as things to look for in the new show.